New York Film Academy will be providing a workshop scholarship to the winner of the National Coalition Against Censorship YFEN film contest. Post your favorite video to your Twitter, Facebook, Tumblr, Pinterest, or other social media and tell your friends and family to vote! Voting is easy. 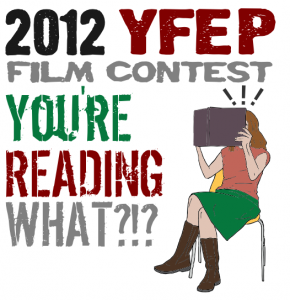 Log into your Gmail, Google or YouTube account and click “Like” on your favorite video on their Film Contest homepage. The semifinalist video with the most “Likes” will be declared the People’s Choice winner and the creator will be awarded a Certificate of Free Expression Excellence from NCAC. The deadline for casting votes is February 15 at 5 p.m. EST. While audiences choose their favorite, a stellar panel of judges, including New York Film Academy’s Co-Chair of Filmmaking, Michael Sandoval, will be hard at work selecting the Grand Prize, Second place, and Third place winners, to be announced sometime in February. So, submit your video now. We can’t wait to see what you come up with!